I am an absolute lip balm addict. If I'm not carrying one with me in my bag or in my pocket then I genuinely freak out a little bit and feel the urge to buy one even though I know I've got more than enough waiting for me at home. So when a little package arrived at my door containing 3 flavoured lip balms from Sweet Cecily's, well you can imagine my excitement! Sweet Cecily's is a Yorkshire based brand which specialises in natural skincare products. I really love the ethics of the brand. All of their products are handmade and free from any 'parabens, petrochemicals, harmful preservatives and SLS' and they use materials and packaging which is widely recyclable. I love this, because I'll admit that I could do a lot more to help the environment and save the planet etc so it's good to know that the products I use go some way towards doing so, even if I'm a bad human and don't myself. They do all sorts of beautiful looking products but as I said, I was sent three of their flavoured lip balms. I was sent Espresso Martini which is a new flavour being released soon and two of their best sellers; Pina Colada and Mojito. As I'm at home for a few weeks for the summer I thought I'd give one to my Mum to try out and tell me her thoughts so that you have a better insight into just how good they are, even though it was really hard to let one go because they all look and smell amazing. She chose the Pina Colada one! Firstly, I love the cute little tin and the patterned stickers. I think they look really dainty and are the perfect size to throw in your make up bag or your handbag. All three of the balms are set quite hard in the tin, but they are really easy to soften up with your finger. What I really like is that they aren't so soft that you have to be careful that when you touch them your finger doesn't sink in and you end up with product all over your finger and under your nails (I'm looking at you, Vaseline). But obviously, and probably more importantly, they smell incredible! I've never tried a coffee scented lip balm before so I was surprised to see this in the package. I wasn't expecting to like this as much as I do, I'll admit. Rather than being a sickly sweet coffee scent, this almost has a subtle bitterness to it which means it isn't too much for the lips. It also has chocolately notes to it and let's be honest, who doesn't want that?! I actually think this is my favourite of the three. I am a huge lover of mint so I was excited to try this one. It's really, really fresh with the hint of lime and the heavy mint going on which is lovely, especially while the weather is as hot as it is because this is really refreshing. Again, it's not too sweet! This one is a little softer than the Espresso one in my opinion but it's still the perfect consistency - nothing under your nails after using it! Pina Colada Lip Balm - My Mum's thoughts! "I don't usually use lip balm because I hate the greasy feeling that it leaves on my lips so I just don't use it but this doesn't have that feeling at all! As soon as you open the lid you can smell it which is amazing because it smells lovely." I then asked her if she'd buy it again and her reply was simply "Oh God yeah, definitely!" 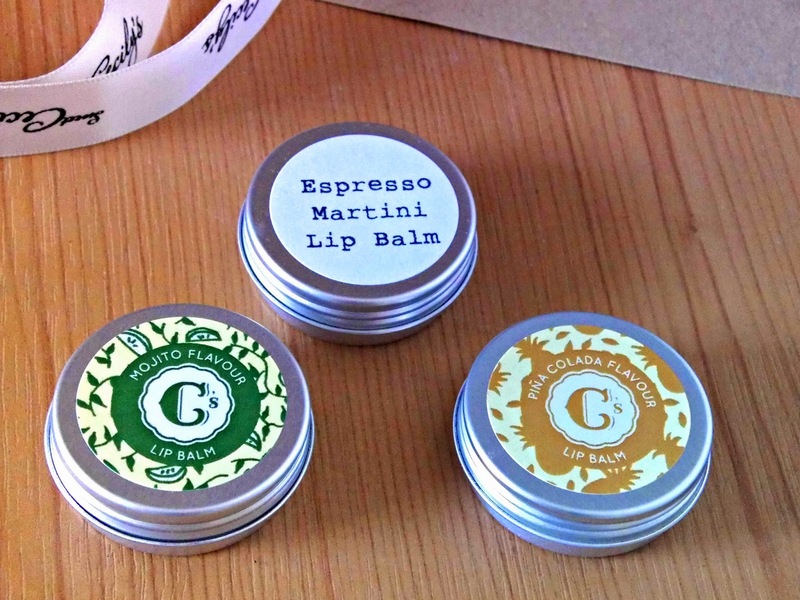 You can buy these on the Sweet Cecily's website - http://www.sweetcecilys.com and they retail at £2.95 each for a 10ml tin. I think that's great considering the fact that they're hand made and completely free of any nasties! There are a few other flavours too, like Strawberries and Cream, Banoffie and Earl Grey! I really recommend you go and check out the website because the products all look amazing and they're really affordable. You can find Sweet Cecily's on Facebook, Twitter and Instagram @sweetcecilys or using the hashtag #sweetcecilys. I hope you enjoyed reading my Mum's thoughts in this post, as well as mine! Something a little different! Go and check out the website and all that jazz! If you do, let me know which products you think look most exciting!